After the landing, lead scientist Dante Lauretta tweeted he was "Relieved, proud, and anxious to start exploring!" The asteroid Bennu as seen on the approach of NASA spacecraft Osiris-Rex. The robotic explorer Osiris-Rex, right on cue, pulled within 12 miles (19 kilometers) of the diamond-shaped space rock. It will get even closer in the days ahead and actually go into orbit around Bennu (BEN-oo) on Dec. 31. 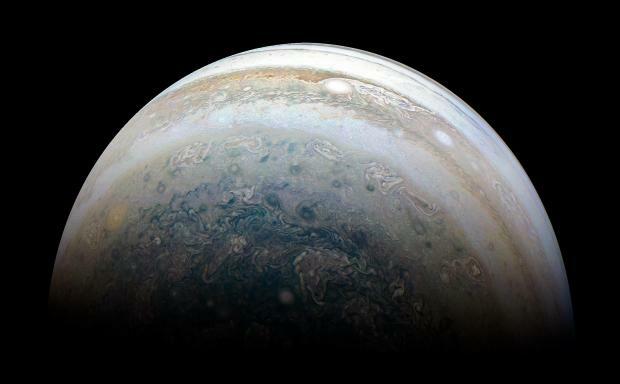 No spacecraft has ever orbited such a small cosmic body. Flight controllers applauded and exchanged high-fives once confirmation came through — exactly one week after NASA landed a spacecraft on Mars. "Relieved, proud, and anxious to start exploring!" tweeted lead scientist Dante Lauretta of the University of Arizona. With Bennu more than 80 million miles (130 million kilometers) away, it took seven minutes for word to get from the spacecraft to flight controllers at Lockheed Martin in Littleton, Colorado. The company built the spacecraft there. Bennu is estimated to just over 1,600 feet (500 meters) across. Researchers will provide a more precise description at a scientific meeting next Monday in Washington. Osiris-Rex aims to collect at least 60 grams, or 2 ounces, of dust and gravel from Bennu. The spacecraft won't land, but rather use a 10-foot (3-meter) mechanical arm in 2020 to momentarily touch down and vacuum up particles. The sample container would break loose and head toward Earth in 2021. NASA has brought back comet dust and solar wind particles before, but never asteroid samples. 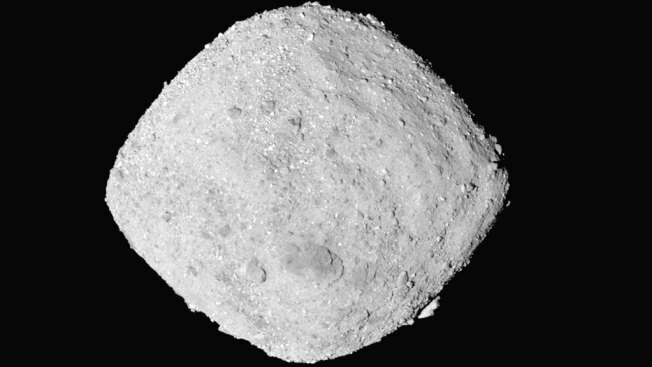 Japan managed to return some tiny particles from its first asteroid mission. A final burst of radio signals marked the end of NASA's contact with the Cassini spacecraft, which plunged into Saturn's atmosphere and disintegrated after a 20-year mission to study the ringed planet. 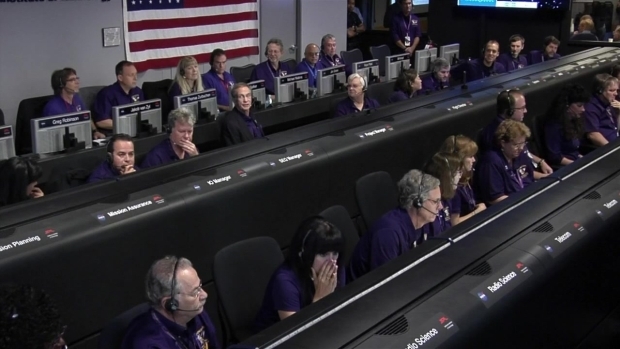 Watch as scientists at mission control in Pasadena, California react to the emotional goodbye that came from millions of miles away on Friday Sept. 15, 2017.